The concept at Ocho Tapas Bistro is simple; well cooked food at affordable prices. Relax in a comfortable environment and enjoy inspired Modern Spanish Cuisine. Congratulations to Ocho Tapas Bistro formerly located at 6 Lower Captain Street, Coleraine, Co Londonderry, BT51 3DT have now relocated to 92-94 Main Street, Portrush, Co Antrim, BT56 8BN. Winners of the Good Food Award 2014 as chosen by you. 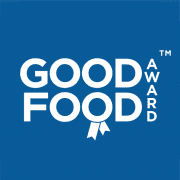 Here at the Good Food Award we have been reviewing customer feedback throughout the UK. Ocho Tapas Bistro was assessed on their Food Quality, Service and Value; and based on your feedback are proud holders of the Good Food Award 2014, as Chosen By You. Ocho Tapas Bistro formerly located at 6 Lower Captain Street, Coleraine, Co Londonderry, BT51 3DT have now relocated to 92-94 Main Street, Portrush, Co Antrim, BT56 8BN.